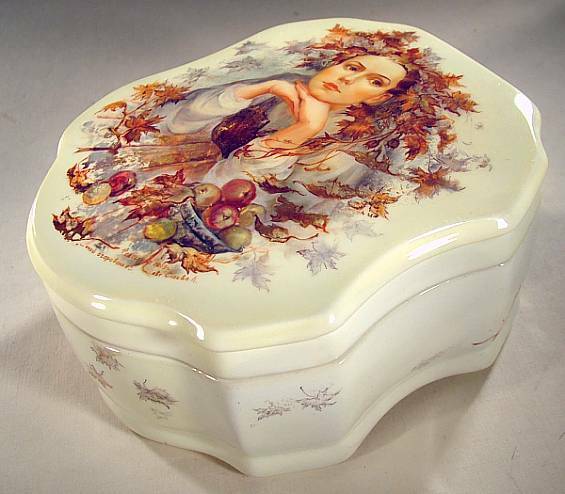 This handsome box shows a lovely woman enjoying a quiet moment in the fall splendor. She rests her head on her hands and seems deep in thought, gazing into the distance. 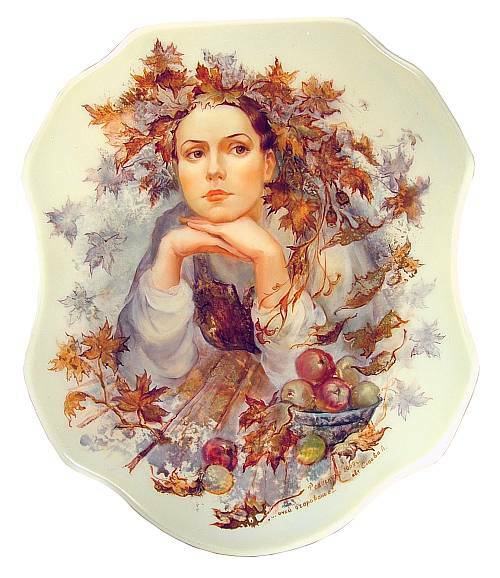 Her soulful brown eyes mimic the autumnal colors, and one might even say this lady represents an allegory of fall. 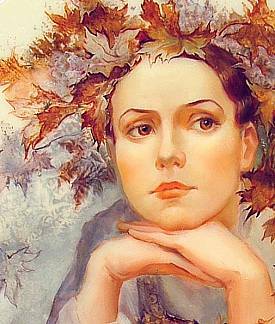 The leaves around her are plentiful and there are even some scattered ones drawn around the side, as well. A bowl of apples lies in front of her. The base color of the box is a luscious cream color and the interior is a deep red. The box is made out of high quality papier mache, has a hinge at the top, and stands on five carved legs. It is signed with the name of the artist, village, title and year. Beautifully different!